Equis Hotels is the new name of an experienced hotel development and management company that has successfully developed, constructed and operated hotels throughout the country. In the past 15 years, the three partners of Equis have collaborated with allied companies to develop and operate more than 30 hotels, most of which were Marriott and Hilton flagged hotels. 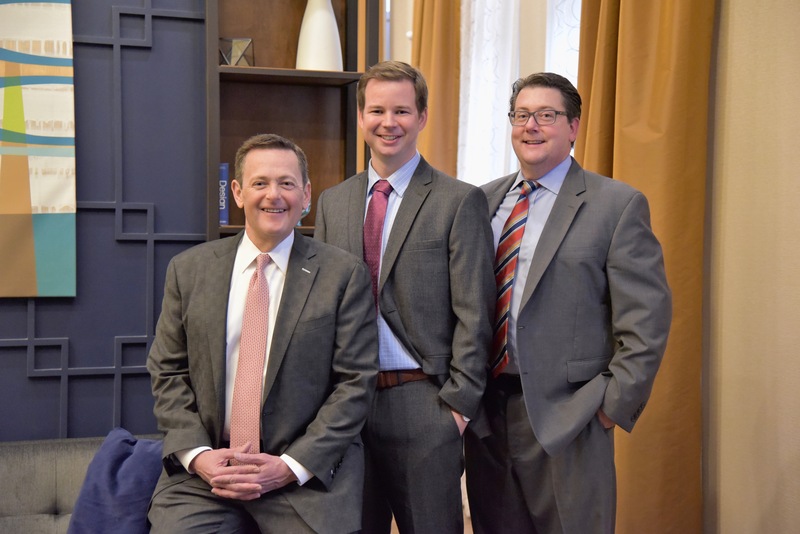 Led by brothers Michael and Gregory Mullenix, Equis Hotels grew out of a real estate and development based family business stretching back decades. Today it is one of the leading hospitality firms in the Midwest with a proven track record for sound financial performance and aggressive growth plans on tap. In addition to expanding its development pipeline, Equis has helped develop, design, and construct hotels for third party owners looking to utilize Equis’ expertise. Equis combines its established relationships in the banking and hospitality industry with its development capabilities to bring projects from the drawing board to open and cash flowing. The principals of Equis Hotels have developed, capitalized, built, and managed over a dozen hotels across a wide range of brands and in different geographic locations. Each new project brings with it a new set of hurdles to overcome and goals to achieve. One thing is consistent, however: our teams are committed to delivering a project on schedule, on budget, and providing an exceptional guest experience. As a hospitality firm, we spend countless hours taking care of our guests’ needs. And while this is critical to our success, we also believe it is important to take care of some of the greatest needs that exist beyond the walls of our properties. With deep roots in St. Louis, Equis Hotels is committed to making a difference in our community and beyond. Our team members donate their time, talents and money to countless worthy organizations here in our market and beyond. We want to attract the best people in the Hotel Industry to deliver the best experiences to our guests. We want to continually reinvent ourselves so we can grow and create value and opportunities for all our stakeholders. Through delivering the best hotel product and experience, we create an appreciation of our Owners’ investment in our properties so they choose to reinvest in our assets and seek new hotel development opportunities. RockBridge Capital, LLC is a real estate investment firm that focuses its investments in the hospitality and office sectors. The firm’s Principals have formed and managed six closed-end funds. The funds make bridge, first mortgage, mezzanine debt, and preferred equity investments with an emphasis on high fixed income returns. RockBridge Capital’s Principals have overseen investments exceeding $450 million in invested capital in over 200 real estate assets nationwide with total transaction capitalization exceeding $3 billion. Peak Construction Group, Inc. serves as construction manager and general contractor for Equis Hotels’ commercial projects. In addition, construction management and general contracting services have been and can be provided to third parties. By working in close partnership, Equis and Peak are able to achieve meaningful cost- and quality- control benefits, as well as build strong, mutually- beneficial relationships with key subcontractors and suppliers. Hometeam Capital, LLC, led by Tom Heilman, is an Ohio limited liability company that has partnered with Equis in identifying and evaluating future asset financing options as well as other strategic opportunities for the current Equis portfolio. Hometeam Capital helps manage Equis’ relationship with investors on a regular basis, including but not limited to coordinating and delivering information and other pertinent communications.